The mortgage insurer sees "some cooling" ahead for residential real estate. A "sold over asking" sign outside a house in the Toronto suburb of Vaughan, May 24, 2017. Canada Mortgage and Housing Corp. reiterated its warning that many Canadian real estate markets are overvalued and vulnerable to a downturn. OTTAWA — Canada Mortgage and Housing Corp. says the country's housing markets remain "highly vulnerable" with evidence of moderate overvaluation and price acceleration. Markets in Toronto, Hamilton, Vancouver, Victoria and Saskatoon are highly vulnerable, the national housing agency said in its quarterly housing market assessment on Thursday. CMHC's housing market assessment gauges the overall level of risk by evaluating four problematic conditions: overheating, price acceleration, overvaluation and overbuilding. "For Canada, the housing market remains at a high degree of vulnerability," said Bob Dugan, CMHC's chief economist on a call with reporters. This comes after the Canadian Real Estate Association's latest figures showed that the number of homes sold in September climbed for the second month in a row. Earlier this year, home sales across the country saw a slowdown, led by Toronto, after the Ontario government introduced measures aimed at cooling the market. 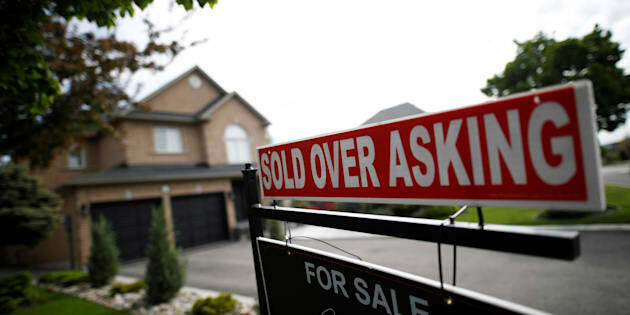 Sales in September were down almost 12 per cent from the record set in March before Ontario announced its housing plan. CMHC noted Thursday that despite the recent easing in Toronto's resale market, it detected moderate evidence of price acceleration with strong growth in home prices among all housing types. Vancouver's housing market remained highly vulnerable, CMHC added, with evidence of moderate overheating and price acceleration, and strong overvaluation. Calgary and Edmonton also saw stronger overvaluation, due to rising inventory of complete and unsold homes, Dugan added, noting that vacancy rates in both cities have signalled overbuilding for several quarters. In its housing market outlook, which was also released Thursday, CMHC says that after a boost this year, housing starts are expected to decline by 2019, but remain close to the average level from the last five years. Sales in the existing-homes market are also expected to decline relative to the record level set in 2016, while price growth is expected to slow, CMHC says. "High house prices particularly for single-family homes and rising mortgage rates will bring about some cooling in the pace of housing market activity," said Dugan.